pic taken in a collection on south island new zealand ,no its not a quiz ! , i really dont know what it is ! , cheers pdw . are you asking what make of machine it is or what the machine is? I'll have a shot at the title......I think it's a Steelweld. Im thinking Swedish BM ? 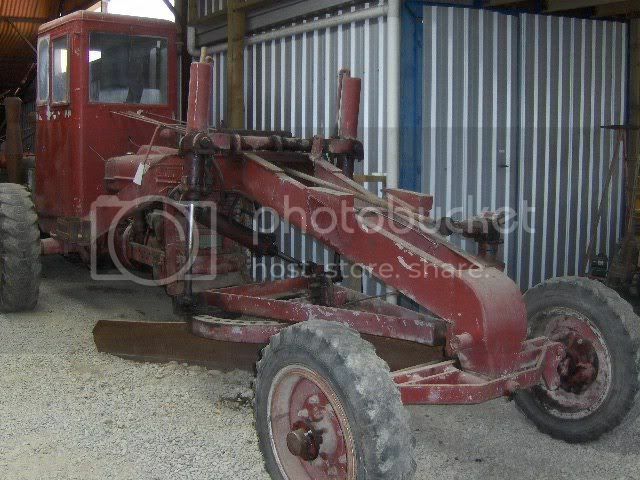 The grading part of the machine looks like Aveling Austin/Austin Western but the back looks like their used a tractor.